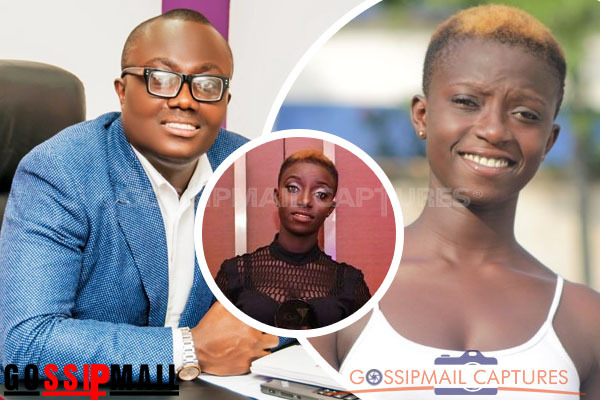 Popular teenager, Rashida Black Beauty has directed her anger at a top notch Ghanaian journalist right after she was granted bail. Rashida was arrested by the Police over the release of her n*de video which went viral on various social media platforms. She was arrested by the Police to aid in further investigation why she put out a video displaying her full nakkɛd body and twerking as well. After she was granted bail, Rashida picked up a fight with a Radio Presenter and notch journalist for discussing her issue on air. Angry Rashida blasted the journalist who works with an Accra-based Radio Station, Neat FM in question without mincing her words.